"I'm delighted and honoured to have been awarded the Turnberg cup for 2018, with an outstanding group of prior recipients. It was a privilege to have this presented to me by Professor Nigel Hooper, the Vice Dean for Research and Innovation, who described the important background of the award to us. I enjoyed talking about my research at the annual ICAT showcase, as well as speaking with fellow researchers, peers and friends across the ICAT spectrum. The discussions following my talk, the kind support and the award will continue to inspire me in my current work exploring drug safety and effectiveness of opioids and biologics." Find out more about what an academic career is by watching this video animation produced by Health Education North West. 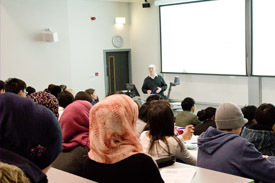 The Manchester Academic Health Science Centre (MAHSC) hosts the Manchester Integrated Clinical Academic Training (ICAT) programme. 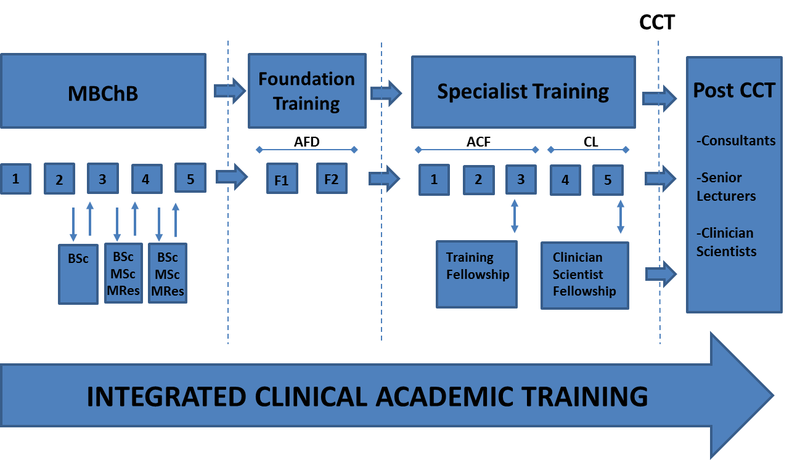 Aim: The aim of the ICAT programme is to facilitate and support the academic development of both undergraduate and postgraduate clinical trainees who aspire to follow a clinical academic career path. Partnership: To achieve this aim, the ICAT programme is managed as a partnership between The University of Manchester and Health Education England North West and in close liaison with the NIHR Trainees Coordinating Centre (NIHR TCC), which oversees ‘Integrated Academic Training’ nationally and is responsible for the allocation of funding to support programmes. Research opportunities: Through the ICAT programme, clinical trainees have extensive opportunities to conduct cutting-edge research within world-class facilities that cover the full healthcare continuum from basic biomedical research to experimental medicine and healthcare service research. 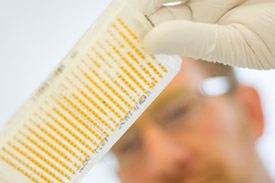 Academic training is provided through a broad range of flexible postgraduate degree programmes as well as bespoke training options that are designed and delivered by the Faculty of Biology, Medicine and Health (FBMH) training team and through the MAHSC Clinical Research Facilities. For those who wish to join the Manchester ICAT programme, see details about the posts and funding opportunities available. Enquiries: From both current and aspiring clinical academic trainees, the ICAT Management Team welcome enquiries about all aspects of the programme.